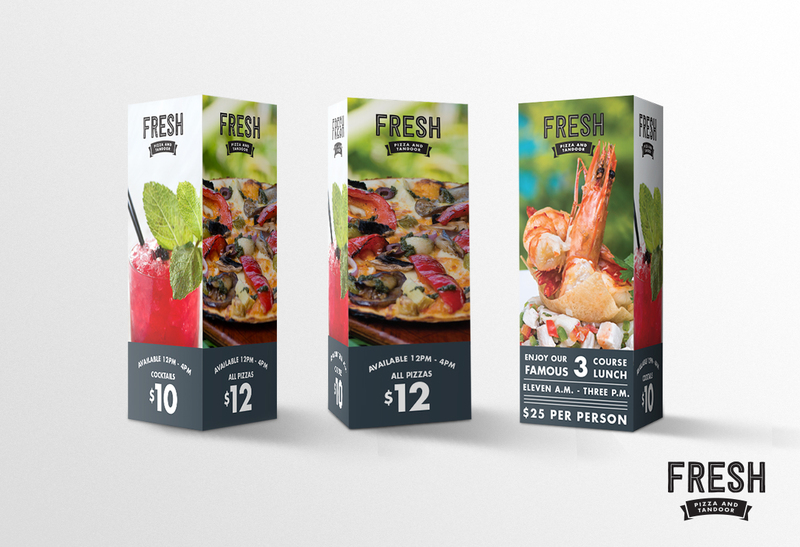 Brand Refresh, Logo Design, Visual Communications Strategy, Advertising, Marketing Brochures and Material, Environmental Branding and Signage, Restaurant Branding, Corporate Stationery, Forms and Templates Corporate Brand Guidelines, Digital Marketing Templates, Brand Book. 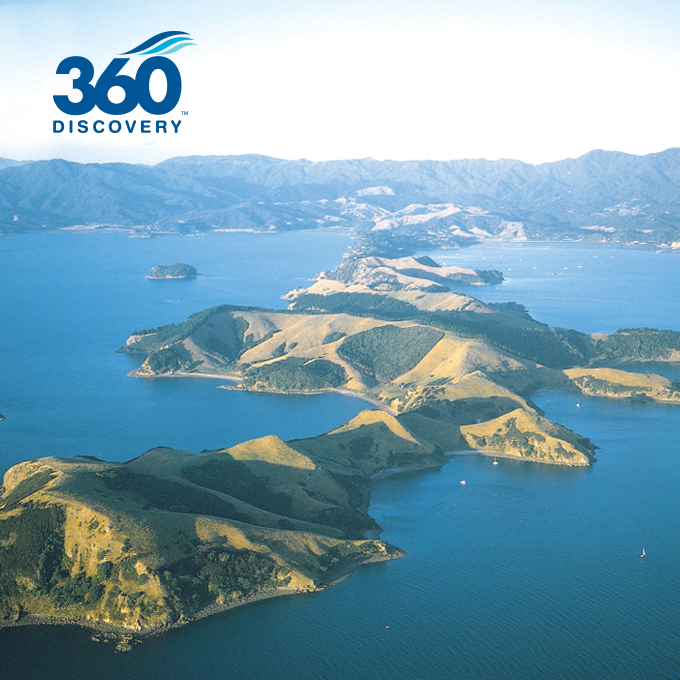 Tanoa Hotel Group is a family owned business, spanning over 40 years with 10 hotels throughout stunning locations in the South Pacific - Fiji, Samoa, Tonga and New Zealand. 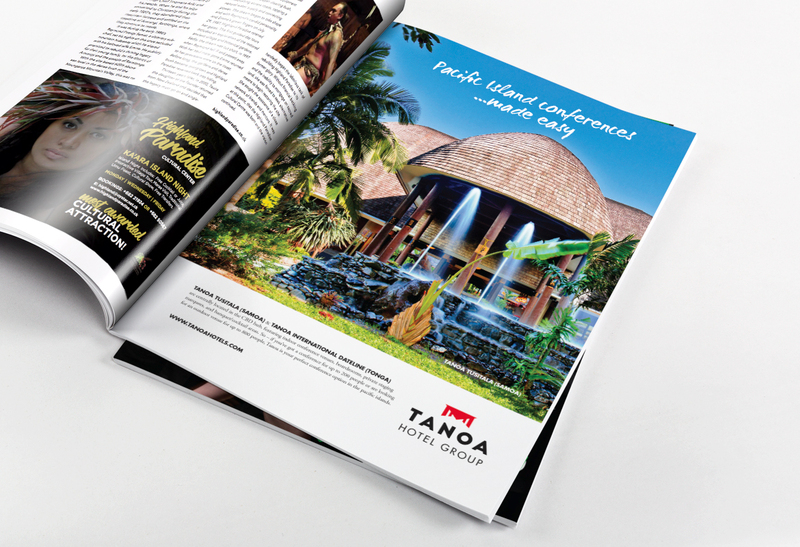 We were tasked with giving the Tanoa brand a much needed refresh – an update that would give Tanoa a more contemporary tone and visual aesthetic. 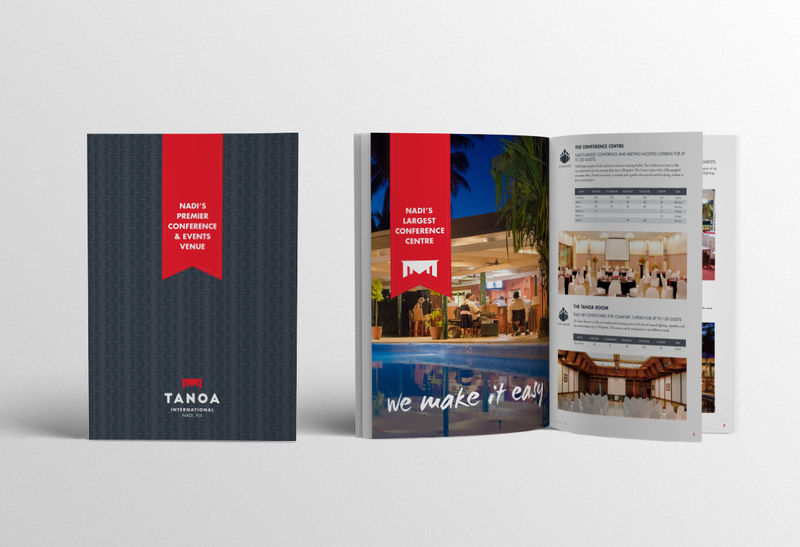 We brought to life a new proposition - "We Make It Easy" while also focusing on Tanoa's strong cultural heritage within all branding and marketing collateral. 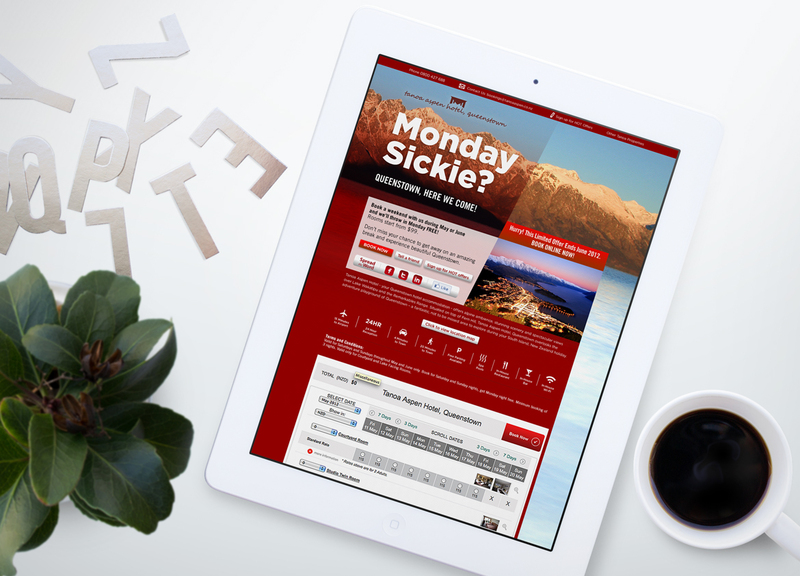 Starting with the Tanoa brandmark - we opted for a bold and modern font paired with the Tanoa Bowl icon, a cultural heritage symbol associated with the company’s long history. This allowing us to preserve Tanoa’s identity whilst giving it a more contemporary feel. 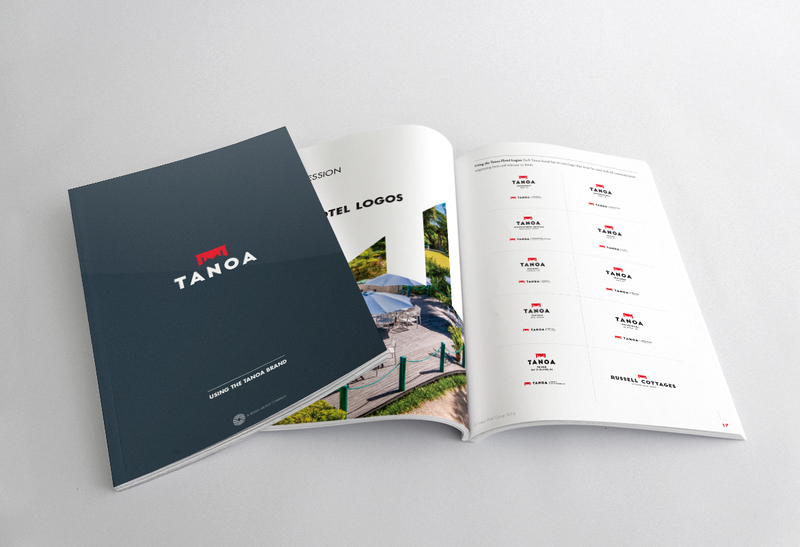 We developed new Tanoa Brand guidelines to ensure consistency across the group with new typography, patterns and imagery. 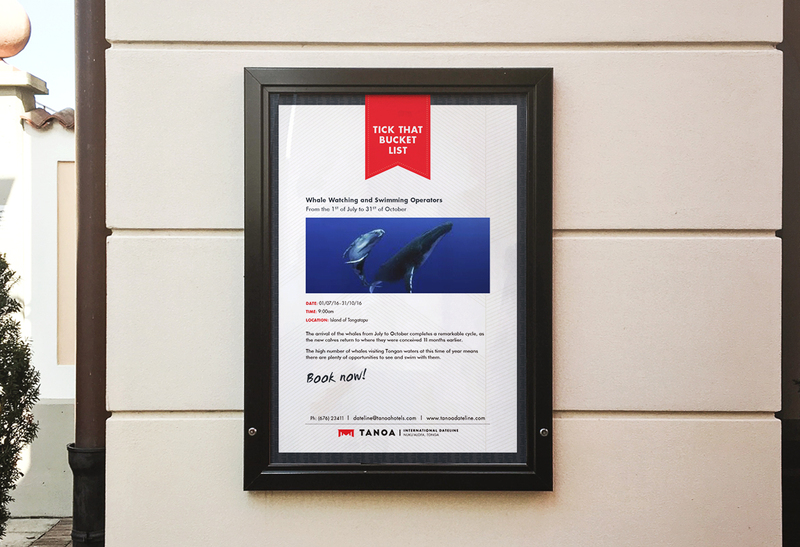 These guidelines provided the basis for Tanoa’s other assets, magazine advertisements, conference brochures, branded stationary and restaurant logos – all utilising the cultural iconography and imagery associated with the pacific.